Need more information about booking Home 7259590 ? Scandia Villas apartment is fully equipped and can offer a peaceful and quit environment. 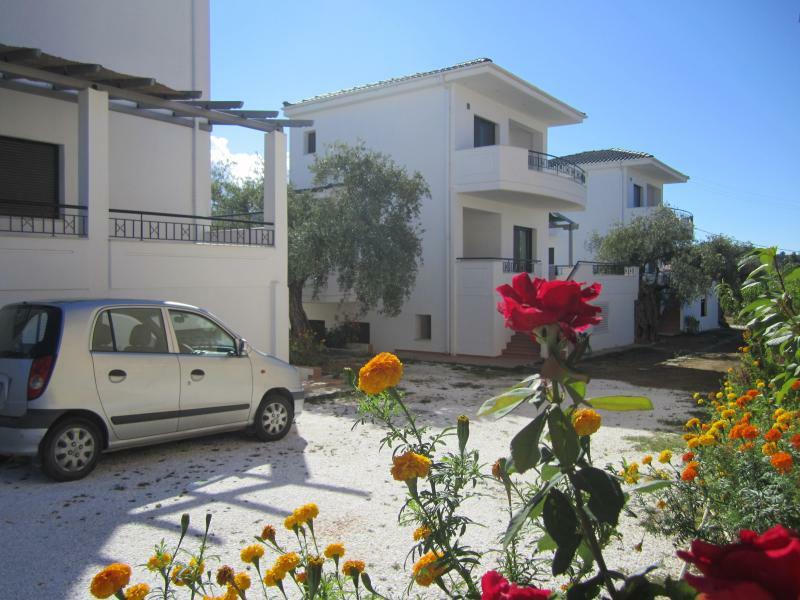 Scandia Villas located at Potos, which is at the south part of Thassos island. The climate is dry and temperate. Keep in mind that the most beautiful beaches of Thassos are at the south side of the island and you can access them easily from Potos. The two floor residence has a total area of 69 sp. Meters. First floor has a kitchen, dining room, living room, bathroom and large balconies. Second floor has one large bedroom which has a double bed, and another room which has two single beds. This floor also has a bathroom with a shower. The rooms have a large balcony with wonderful sea view. sofa bed that can accommodate two adults. -Fully equipped kitchen, which has brand new gear, kitchen, oven, and a large refrigerator. You can get in touch with Kiriakos (the owner) through the contact form on this page. Send Kiriakos (the owner) an email through the contact form on this page. Alternatively, if there’s a phone number on this page, you can call them. How do I contact Kiriakos (the owner)? If you’ve already booked, go to Manage your holiday booking to view Kiriakos the owner's contact details or send them a message. Or send Kiriakos (the owner) an enquiry through the Contact the owner/manager form if you’d like a quote or more info first. When you pay online through the Book your stay form, a booking request is sent to Kiriakos (the owner). You’ll find out within 24 hours whether they’ve accepted - no money will leave your account before then. You can also request a quote from Kiriakos (the owner) through the contact form. The owner will email you the total cost for your dates and a link to book and pay online. Use the Book your stay form to pay provisionally online. You can pay by credit/debit card or PayPal. Kiriakos (the owner) will have 24 hours to accept the booking and no money will leave your account before then. Why can't I call Kiriakos (the owner) before booking? You’ll need to contact Kiriakos (the owner) to do this. Send them a message in Manage your holiday booking or through the contact form on this page. You can request to change the dates or number of people on your booking via the Manage your holiday booking page. To change your holiday dates use the Edit booking button. If you need to change the number of guests staying then send Kiriakos (the owner) a message. If Kiriakos (the owner) agrees, they’ll send you a revised quote outlining the changes. You can review and accept/decline this from the Manage your holiday booking page. You’ll have 48 hours to take action before the revised quote expires.